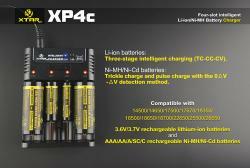 Charge 4 batteries simultaneously and independently. Intelligently identifies li-ion and NI-MH rechargeable batteries, and automatically chooses the suitable charge method. For Li-ion batteries: three-stage charging(TC-CC-CV), for Ni-MH batteries: trickle charge and pulse charge with the 0△V、-△V detection method. 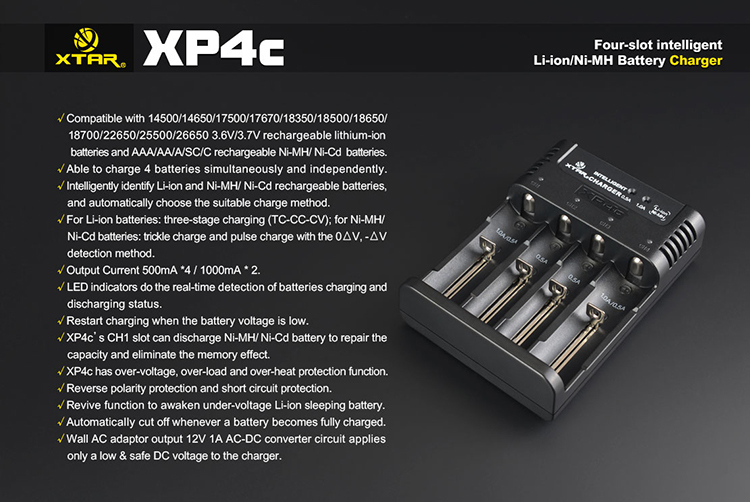 XP4C intelligently selects the charge current(0.50A，0.1A) according to the charging bay that the batteries are inserted in. LED indicators do the real-time detection of batteries charging and discharging status. When charging is complete, XP4C will automatically stop and restart charging when the battery voltage is lower than 3.9V. 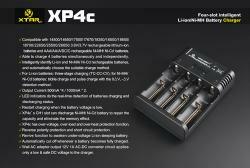 XP4C’s CH1 slot can discharge battery to repair the capacity and eliminate the memory effect. 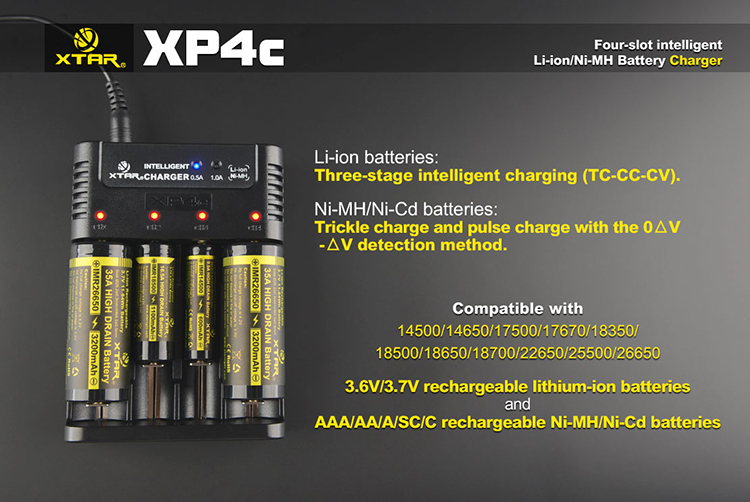 XP4C has over-voltage, over-load and over-heat protection function. XP4C has 0V activation and soft start function.